Hi There! 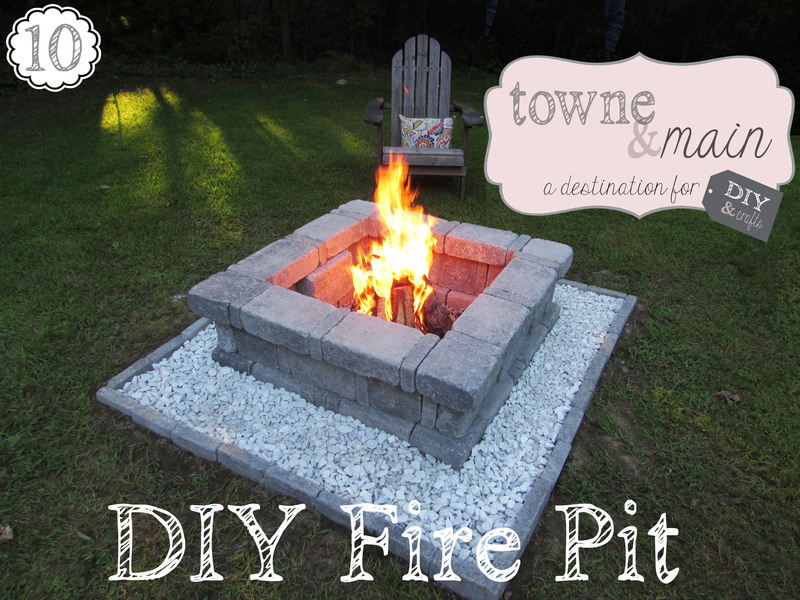 Interested in building a fire pit in your yard, well its super easy and here is how you do it in 3 hours! Depending on the size of your yard, you want to pick a spot that is a safe distance from your home, but also comfortable for use. We had a perfect spot, actually a perfect dead spot of grass from where our old sand box used to be. So we decided to use that as our starting point. We choose square fire pit no.3 on page 4. So we bought all the stones required to make this pit minus the fire pit insert. We also bought extra stone to create our outer border which is not part of this design. Extra pavers to make outer border, if this is something you are interested in. Once you have your spot staked out and the supplies you need for your choice of design, you can now get started! 1 – Mark out the spot you want by measuring accordingly and removing the grass/debris. For this particular pit we included an outer border of paver and marble chips. 2 – To create the outer border we dug a channel around the perimeter to fit the size paver we used. This step required 34 mini pavers. 3 – Make sure your pavers are set in and are all level. 4 – Flatten out the inner center as much as you can in preparation for the next steps. 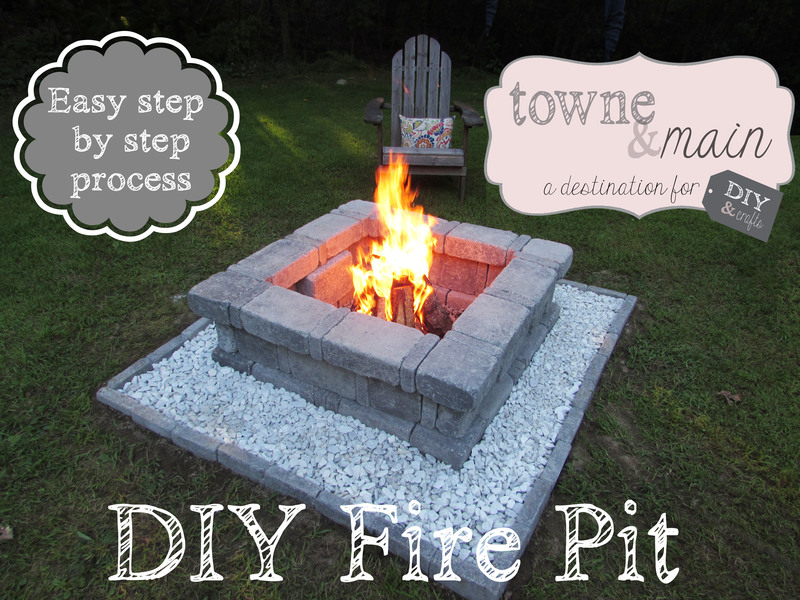 7 – Next lay down the base of your fire pit and start building your design. 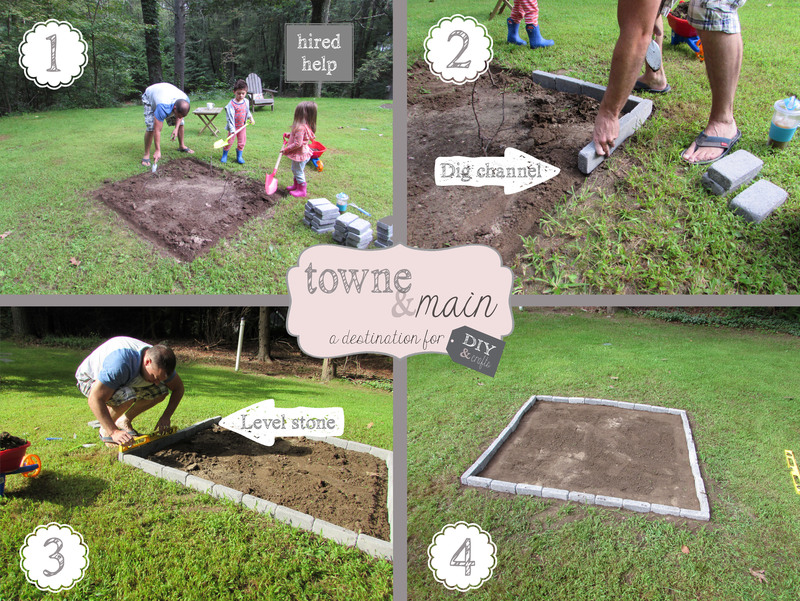 8 – Add the crushed marble stones/chips to the outer perimeter of the base. 9 – Add crushed blue stone to the center, then your kindling and wood. Now you may notice that we took creatively liberty here and redesigned the style of our pit. We decided the original design from the design booklet was too tall for our liking, so we altered it by removing a layer and we are much happier with the outcome. 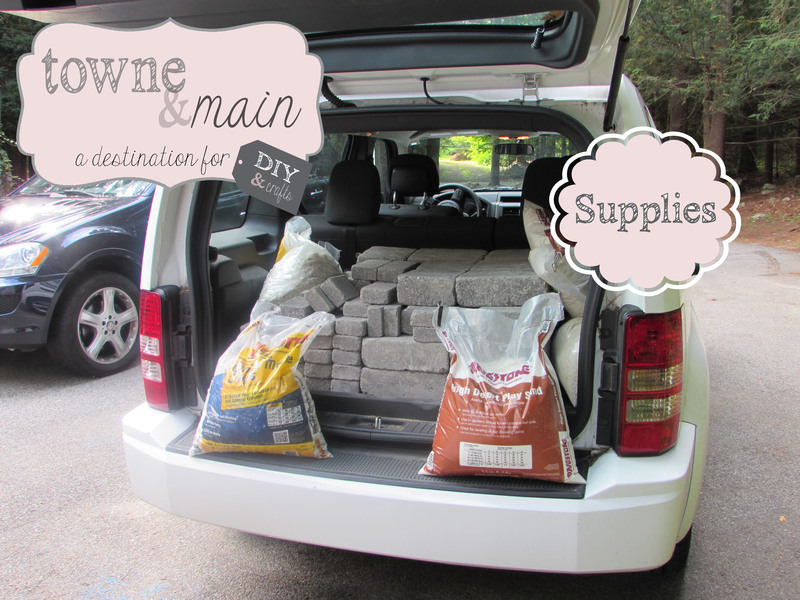 This newly added feature extends the life of our yard beyond summer! The kids love making s’mores and we just love how it came out. Looking forward to cool nights by the fire, glasses of wine in hand!